Do you love hot chocolate? If so, you’re going to love Kristan’s peppermint and marshmallow stir sticks. And the make great gifts too! They’re easy to make and easy on the budget. 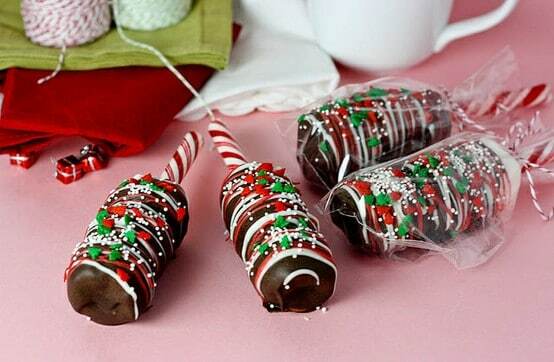 All you need are some candy sticks, marshmallows, chocolate candy coating, read and white candy coating and some holiday sprinkles. These are sure to impress!